A SIMPLE SIDE PROJECT TO DEVELOP A RICHER LINE OF FOUNDATION HAS GIVEN RISE TO A COMPANY-WIDE CAMPAIGN TO BREAK COLOR BARRIERS. When the Kenyan actress Lupita Nyong’o became Lancôme’s first black spokesperson last year, fashion magazines and blogs welcomed the news as a sign that the legendary makeup brand is embracing women of color—especially those who have traditionally had trouble finding the right shades in drugstore aisles and department stores. On billboards and in magazine ads, the 32-year-old Academy Award winner wore the brand’s newest foundations, in hues that were deeper and darker than anything Lancôme had previously released. Behind the scenes, at the headquarters of L’Oréal Paris, Lancôme’s parent company, Nyong’o’s appointment signaled a broader effort by the cosmetics giant to stay ahead of consumer demand by placing diversity and globalization at the center of its strategy. In the U.S., the multicultural beauty market is currently outpacing the overall industry, posting a 3.7% increase in 2014, according to research firm Kline & Co. What’s more, the global cosmetics industry is now worth an estimated $197 billion, and is growing by about 4% annually. In 2014, so-called new markets (anything outside North America and Western Europe) accounted for 39.6% of L’Oréal’s $29.9 billion in sales. To take an even bigger slice of that international pie, the company is investing in products tailored to the diverse skin tones of women in places like South Africa and the Middle East, as well as in the United States. One of the keys to this strategy is L’Oréal chemist Balanda Atis, who created the (literal) foundation for Nyong’o’s Lancôme campaign and now heads L’Oréal’s Women of Color Lab in Clark, New Jersey. The lab, which opened in 2014 and includes scientists, marketers, and product developers, is tasked with formulating groundbreaking products for multicultural women, including foundations, lipsticks, and eye makeup. L’Oréal gets a makeover: Scientist Balanda Atis has created more than 30 new shades for women of color. It’s a personal quest for Atis, who grew up in a Haitian community in East Orange, New Jersey. Over the years, she saw friends and family struggle to find makeup that looked good on their skin. “The colors were often too red, giving the skin a bruised look, or too black, making the skin look muddy,” she recalls. She joined L’Oréal in 1999 as a researcher in the mascara lab, where she racked up patents for products that make lashes plumper and ­longer. And though she appreciated her own company’s attempts to be more inclusive, releasing makeup catering to African-American and Latina women with campaigns featuring celebrities like Beyoncé and Jennifer Lopez, Atis still found the new formulations too pale for many women. This has been a challenge for the entire cosmetics industry, according to Karen Grant, a global beauty-industry expert at research firm NPD. “A cosmetics company needs to dedicate a lot of resources to successfully create products for a new market segment,” Grant says, citing the cost of scientific research, focus groups, and educating retailers, among other things. And then there’s the perception that women of color spend less on makeup than Caucasian women, which meant that the path of least resistance for many companies was to stick with the products they knew best. It’s true that women of color have historically spent less on makeup: A recent NPD survey found that only 42% of black women use makeup, compared with 64% of white women. But Grant says this is largely because there are fewer products available to them. “It’s a cycle,” she says. Atis wanted to change this dynamic. In 2006, L’Oréal’s R&D team presented the company with new foundations that were meant to be a breakthrough for women of color. When Atis tried them, though, she still could not find a match for herself; the shades simply did not run dark enough. She told the head of L’Oréal’s makeup division that its new range fell short, and was met with a challenge: If you think it’s fixable, let’s see what you can do. Though L’Oréal didn’t release Atis from her mascara projects to work on foundations full-time, her managers allowed her to use the labs on the side. Atis quickly enlisted two other scientists who were equally committed to this mission, and the task force got started. Finding the right data was the first step. For several years, Atis’s team crisscrossed the country, using special probes that measure light absorption to evaluate women’s skin tones. Back at the lab, they used this information to create prototype shades. Their main hurdle was that darker colorants commonly used in the industry looked dull on skin. 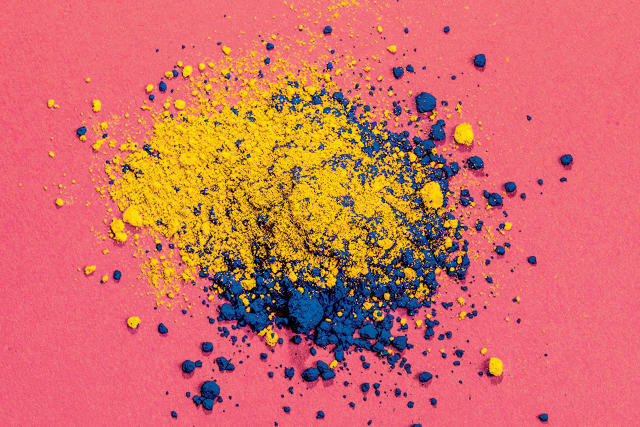 The team’s revelation came when they stumbled upon a rarely used pigment, ultramarine blue, that created deep, pure colors without sacrificing texture and vibrancy. It was a huge leap forward. During field tests, women with dark complexions embraced the new shades. ← Two geniuses post selfies with stolen money, resulting in thier arrest.